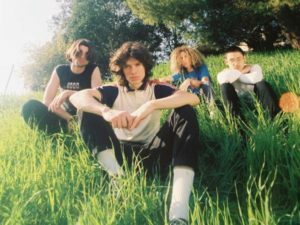 THE WHAT: Due to Lilly’s 2018 releases, “Sold” and “Toro,” showing them to be an alt-rock band that punches with impressive authority, we got the feeling that youth may not be entirely wasted on the young even if the video for their latest single, “Sepulveda Basin,” reeks of lo-fi, time-killing, dudely aimlessness. You can find “Sepulveda Basin” on Lilly’s upcoming 6-song debut EP, I Can Fool Anybody In This Town, which is due out on 3/8 via Flush Records. THE WHERE: During the month of February you can find Liily road tripping across the country on tour with the Glorious Sons so check out those tour dates HERE. And, of course, you can always keep up with Liily in all of the usual places such as their official website, Facebook page and at @Liilytheband on Twitter.